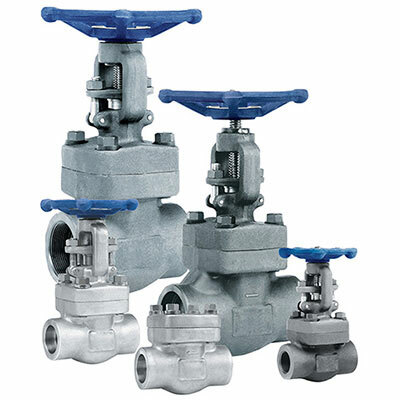 CONTROTEK compact design, high pressure, forged steel gate/ globe and check [NRV] valves are designed and manufactured according to API 602 to meet requirements of smaller pipelines up to 50NB. They are available either with threaded or socket weld ends. Hard faced trim material ensures perfect sealing and longer life. Perfectly machined and lapped back seat is provided to ensure replacing of gland packing in full stream for Gate and Globe Valves. 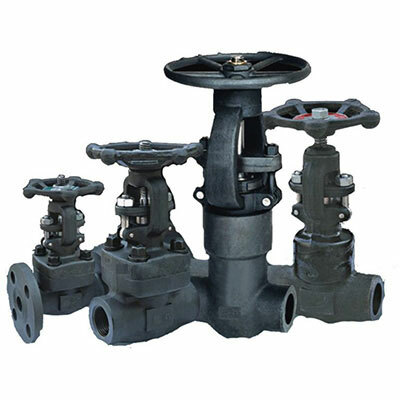 In case of Check Valve [NRV] the disc is designed like a piston with air/pressure release facility which actuates on back or positive pressure. This design avoids requirement of spring in Valve disc and reduces pressure drop across the Valve. MOC Forged Carbon & Carbon Alloy Steel: Carbon Steel, Low Temperature Steel, High Temperature Carbon-Alloy Steel etc.